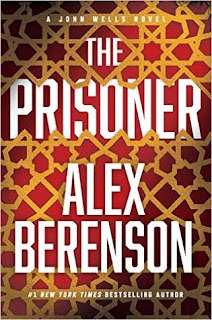 In “The Prisoner”, his eleventh John Wells novel, Alex Berenson continues his intelligent espionage/ thrillers that probe the possible threat of Islamic terrorists obtaining weapons of mass destruction while showing how human intelligence gathering can thwart these threats. Berenson continues to exhibit a keen eye for threats that are possibly in the reach of terrorists. Here it is an agent that has been used by terrorists in Japan and Syria against its own citizens. The threat is real. At the same time, Berenson’s main characters remain real, their abilities, in line with real people and not overdone. At the center of why Berenson remains a must read in this category is the great is John Wells, a character who embodies the best characteristics of intelligence agents.<br /><br />John Wells is humanized by a home life. His ex girlfriend Anne has had a baby girl and Wells is learning to be a father. So there is for the first time a little balance to his life. But these are not books where we are going to probe the dichotomy of his life as a father and a killer. The home life is a sidelight. These are intelligence / espionage / thrillers. And despite his home life, Wells still has the itch to return to the spy business. While at the same time that we witness an American mission in the contested Mideast go sideways, Wells learns of a possible mole in the CIA, who is feeding intelligence to Islamic terrorists, who are using it thwart American missions in the Middle East. The source of the intelligence is a Bulgarian spy, who runs a prison holding terrorists overseas for the United States. Wells and Shafer team up again. Wells wants to assume a Islamic terrorist persona and infiltrate the prison, while Shafer will run a probe against 4 top level CIA executives to see if he can figure out who is the mole. The novel unwinds a little slowly, Wells, a man in top shape, must lean himself out so he has the look of an itinerant terrorist, who has been on the run in the Middle East. His program to get in shape could be captured in a few short paragraphs, and Shafer’s investigation seems in some respects to be a non-starter as “Wayne” the mole is firmly entrenched in his plotting. Berenson drops clues early on revealing some facts about the mole that the reader can use to figure out his identity. 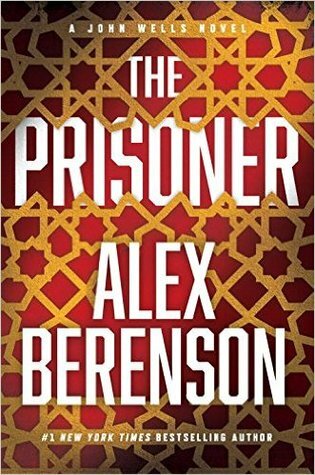 But Berenson takes the opportunity to escalate the novel, by setting up a terrorist plot to use nerve gas against Americans. And the mole is deeply involved in the plan. Berenson does show how hard it would be for a Non State actor to produce a nerve gas, but that it can be accomplished. It’s an eye opening discussion. Once Wells gets himself into shape, the plan is for him to be captured by US agents in the Middle East, but of course, nothing goes according to plan. The Mole makes moves against Wells and Wells also has to take steps to protect himself from kidnappers, who obviously were unprepared for Wells training and fighting prowess. Once Wells finally makes it to the prison in Bulgaria, the action really starts to heat up. There are murderous Bulgarian gangs to thwart while at the same time gaining the trust of the Arab prisoners. Intelligence is learned, and Wells takes his knowledge of an unknown plot to France, where while nursing wounds from the prison, he must find a well concealed terrorist, who with the Mole is planning a vigorous attack on the West. It’s a good read, slowly building to a tight confrontation with lives on the line, exhibiting all the trademarks of the Berenson John Wells novels.